Any full-time blogger knows by now the struggle between whether or not commenting is an effective backlink gaining strategy. Obviously, this strategy alone will not suffice in driving quality traffic to your website and the main debate is over how much gain can you expect from a given amount of effort. There certainly are advantages and disadvantages to posting comments on forums, blogs and other interactive mediums in order to acquire backlinks for your site. We will discover some of the main points on each side to help you determine what role – if any – commenting will play in your backlink strategy. One major upside to using comment forms around the web for backlinks is the fact that you do not have to invest any capital to begin driving traffic. While time can be just as valuable as money, each person will have different standards for how they wish to allocate their efforts. Those who do not mind repetitive tasking can accumulate dozens of standard backlinks from high-quality sites per hour. Other than your internet bill and electricity, commenting is 100% free for those who take the time to do it. 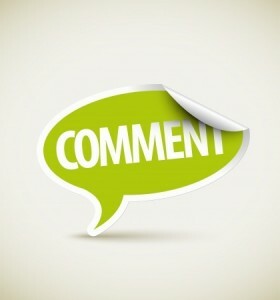 Commenting on blogs can be useful for far more than simple backlinks. You can build a true reputation in niche communities, commenting on multiple sites and being recognised as credible by members of the community who go to various websites on which you post. This will make said users more inclined to visit your website and partake in what it has to offer. You may even find yourself developing partnerships with some of these blogs – assuming your comments are of high quality. There’s an unspoken rule between webmasters: backlinks via comments are fine, so long as the presentation is decent. Blog owners want the impression of activity so that visitors see the blog as a credible, vibrant outlet. If your backlinks are embedded in high-quality posts, most webmasters will not mind and the comments will remain there indefinitely. As long as your comments seem relevant, webmasters will most likely continue to allow you to share your links. When wading into social networking sites, the danger of nofollow links becomes a greater threat. In summary, links fall into one of two categories: dofollow links and nofollow links. Dofollow links are indexed by search engines, allowing for mature backlinks. Nofollow links are skipped by search engines, giving no credit for the backlink. You can check which links to your site are nofollow links by using Pingler’s Nofollow Finder Tool; simply input your URL and a list of nofollow links will be presented to you. As mentioned earlier, the act of commenting is free but it can take loads of time to develop significant gains in traffic and reputation. Assuming each response is custom-tailored, you may spend one hour creating five high-quality backlinks. How many people ultimately will click on your link? The process works, but one must be dedicated to doing it and continuing the effort on a daily basis. Great article to define the worth of commenting and you are right it’s Time Consuming and we all keep in mind that good things take some time to show good results. I don’t worry if the link back is no follow. I do not want all my links to be no follow. Plus I want people to click that link and not just bots. I do agree. We don’t merely comment for backlinks. Giving contributions, asking for answers, making clarifications, conducting further discussions, and thanking for great content are the essence of blog commenting. I don’t really care whether a blog post I comment on is nofollow or dofollow. Don’t post more comments. It giving backlinks but not giving full efforts.If you go to your keywords related site get good traffic also. I’ve found that recently backlinks don’t matter much for most of my sites. I get plenty of traffic and conversions without much effort. Its really good worth ful article.Thank you so much to share this information. Keep up the great work.